It’s been a bit all go recently, what with the Knitting & Stitching show and everything, but amongst it all something very exciting happened….. I signed the contract for book number 2!!!! It’s been rumbling on since August and has been VERY difficult to keep to myself, so I’m glad it’s all finally official! It’s due out Autumn 2016 and that’s all I’m going to say on the subject for now. ‘Cos I’m a tease. 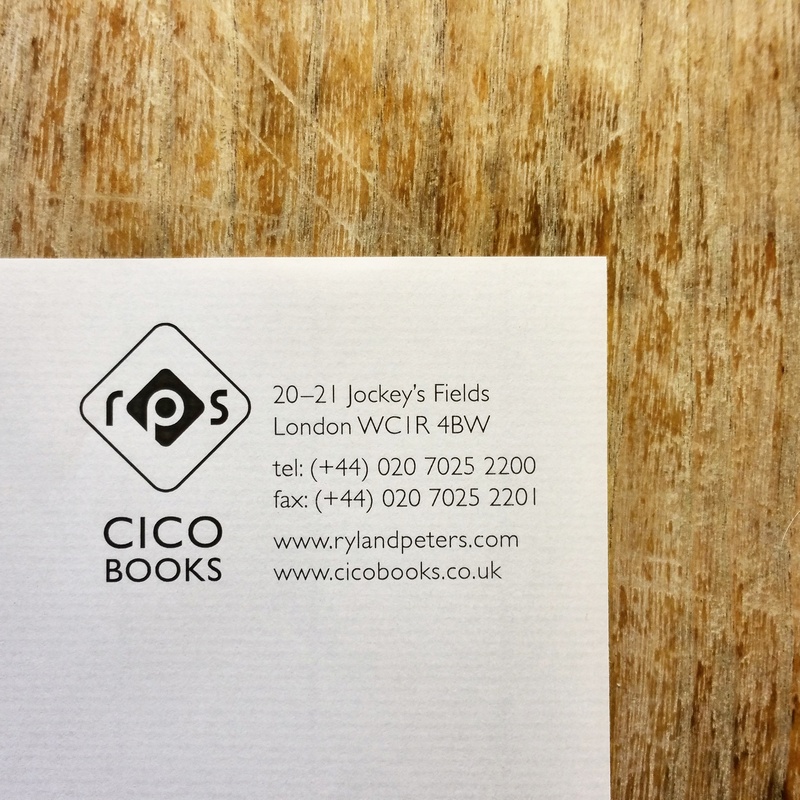 Read all about Saturday night’s book launch shenanigans here. 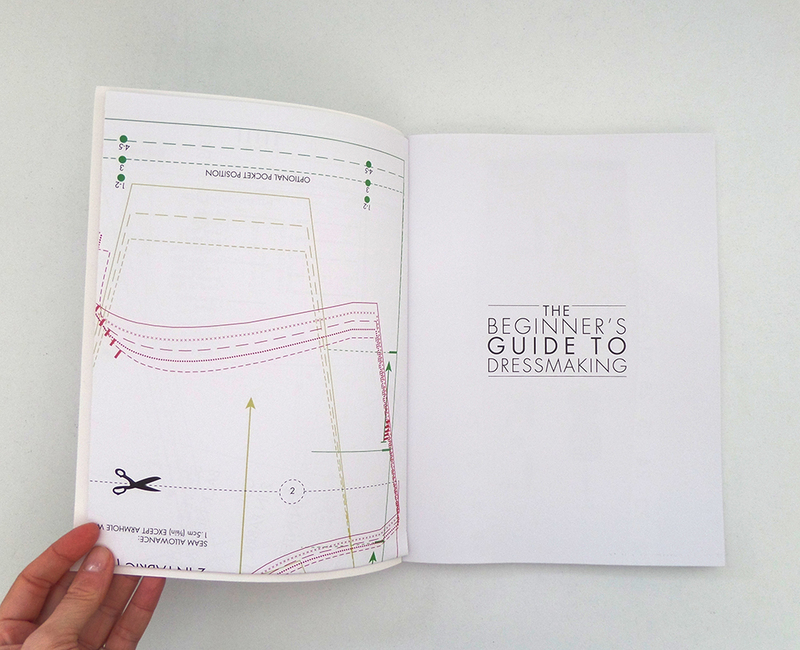 The Beginner’s Guide to Dressmaking – a peek inside…..
For how many years have I dreamt of writing this post?! A lot. The simple and gorgeous cover – I love this image. 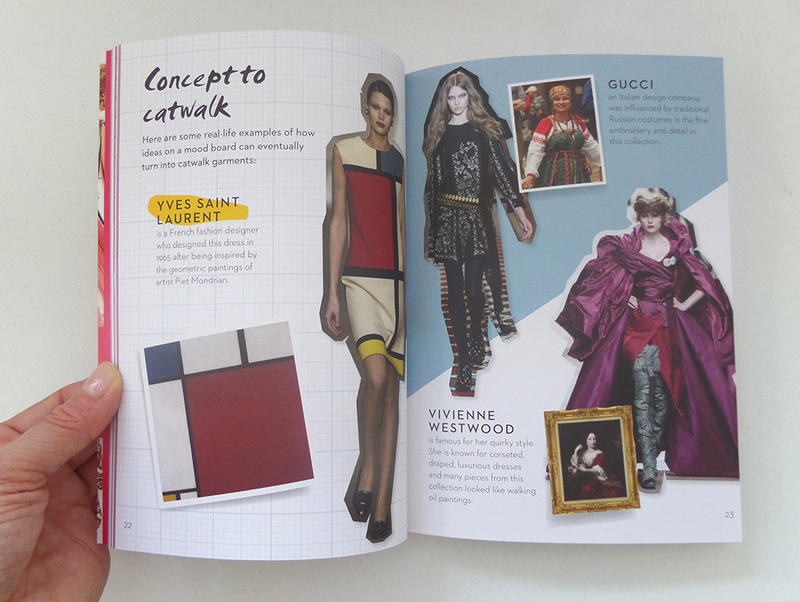 The book is divided into 3 sections: Projects, Techniques and Customising. 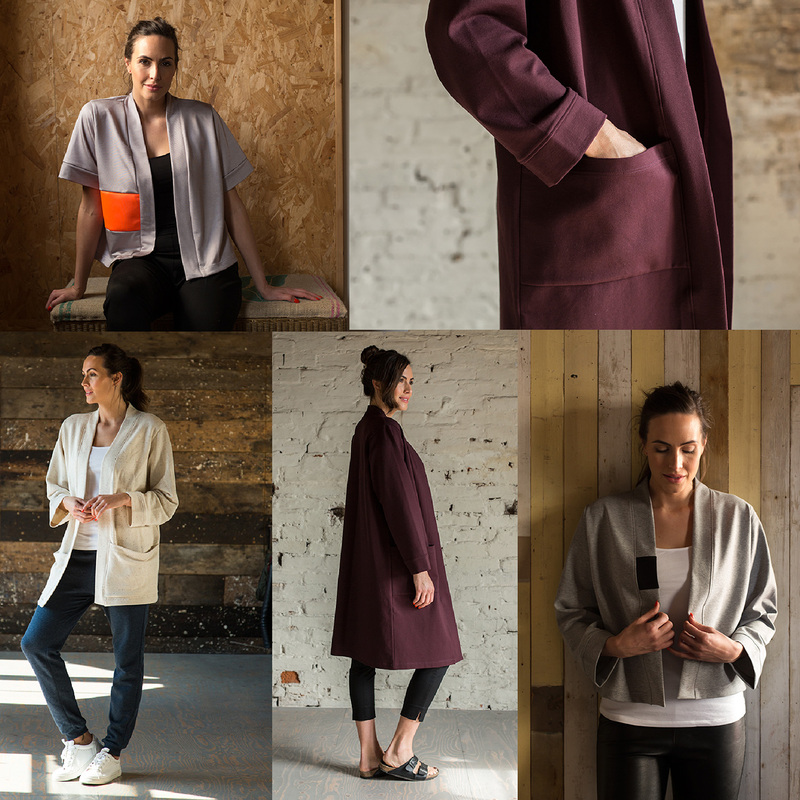 There are 6 projects (all garments – no cheating with accessories!) 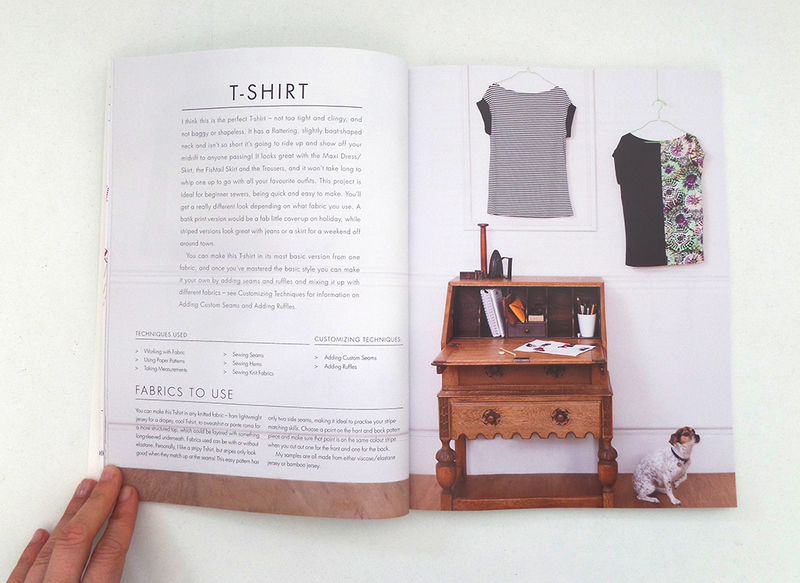 with full-scale multi-sized patterns printed in colour on pull-out pattern sheets at the front and back of the book. All you have to do is trace the pieces you need and off you go. 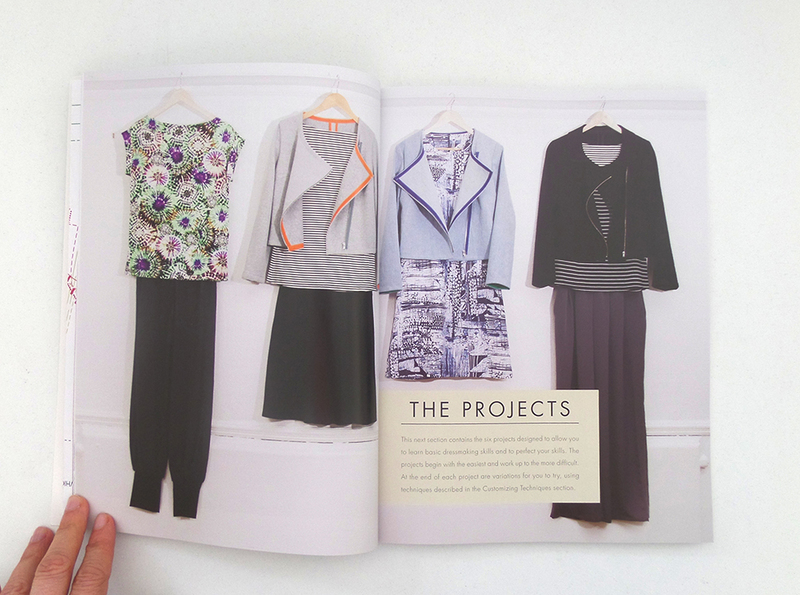 The projects section with an inspiring page of outfits made from the 6 patterns to get your creative juices flowing! The techniques section covers all the techniques used in the 6 projects: Working with Fabric / Using Paper Patterns / Taking Measurements / Sewing Machine Basics / Sewing Seams / Sewing Hems / Sewing Darts / Gathering / Creating Pleats / Adding a Centred Zip / Using Bias Binding / Understitching / Setting in Sleeves / Sewing Knit Fabrics. 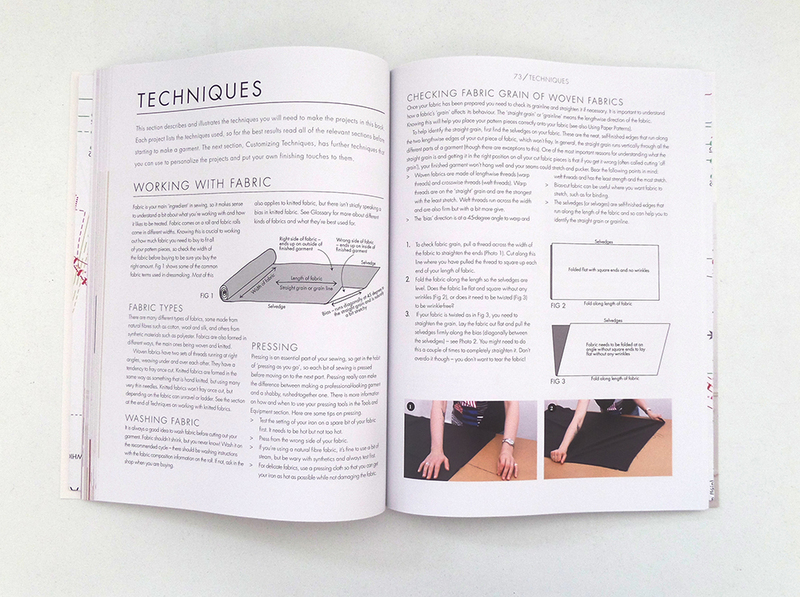 If you work your way through the projects in the order they appear in the book, by the end you will have a thorough set of really good basic dressmaking skills to stand you in good stead for further projects. 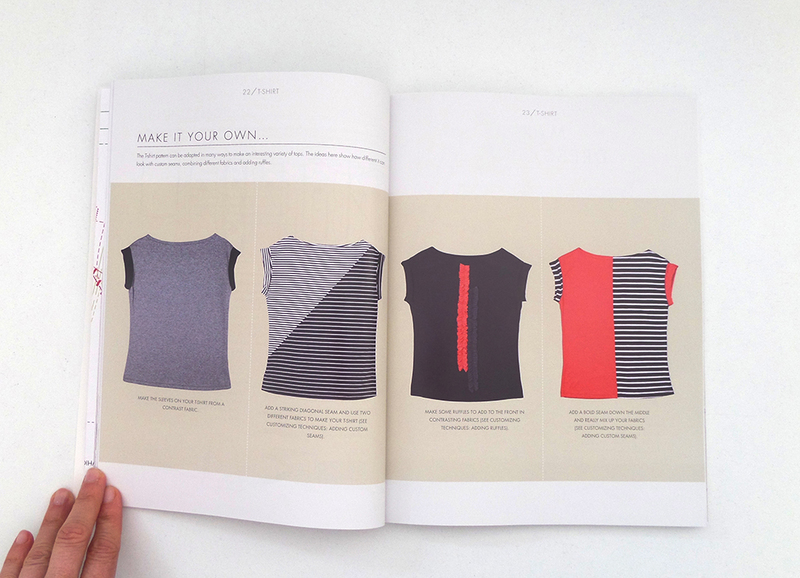 The Customising section includes easy ideas for adapting the basic patterns to make them your own style and create different versions of the garments. Customising techniques covered are: Adding Custom Seams / Adding Ruffles / Adding Patch Pockets / Adding Side Seam Pockets / Adding Collars. All pattern pieces required are also included on the pattern sheets, ie. collars and pockets. One of the two pull-out pattern sheets. 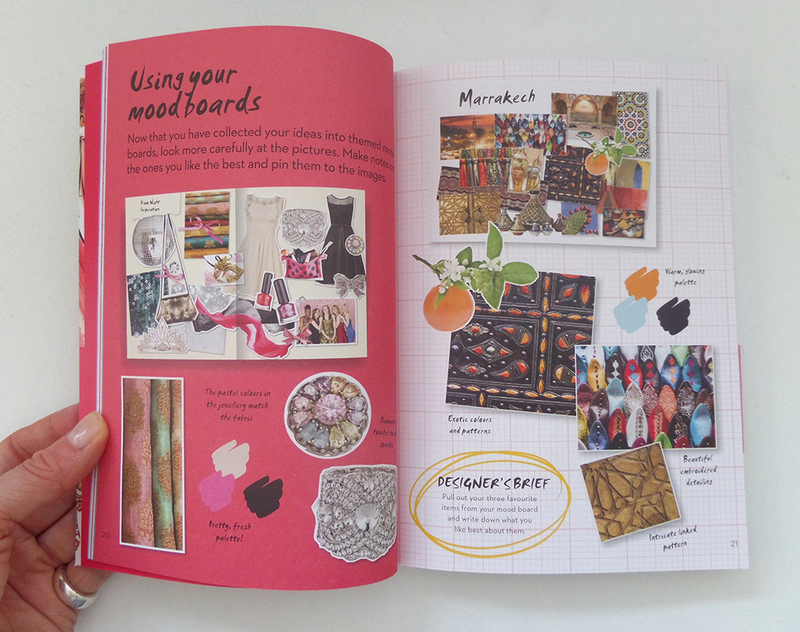 They’re inside the front and back covers and are printed both sides and colour coded by project making it easy to find the pieces you need, trace them onto a new piece of paper and start making! 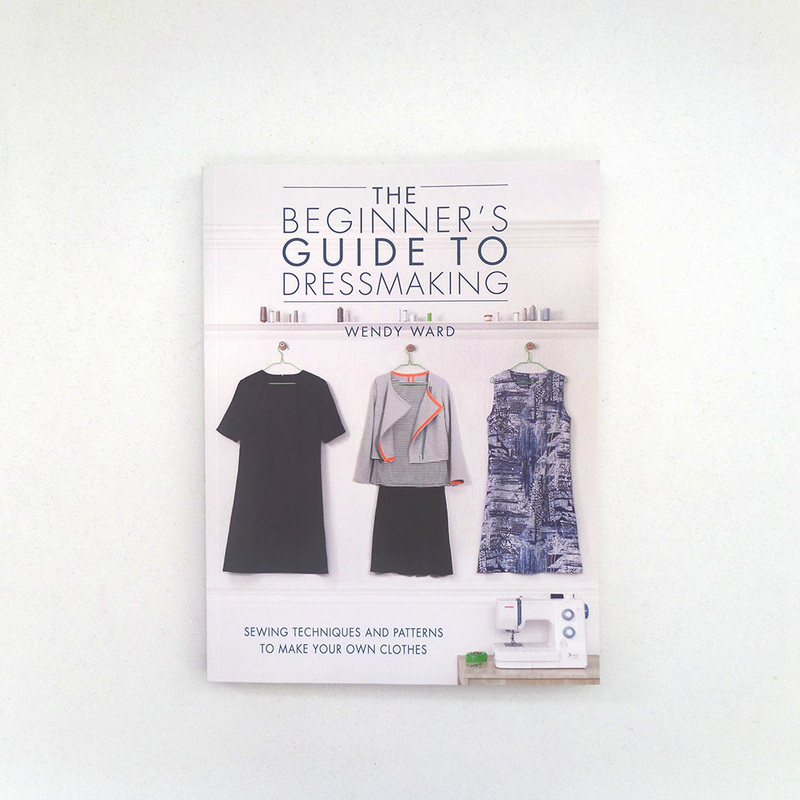 The Beginner’s Guide to Dressmaking is aimed at anyone who would like to make their own clothes but feels a bit daunted by many of the sewing patterns available. Basically like the majority of people I teach! 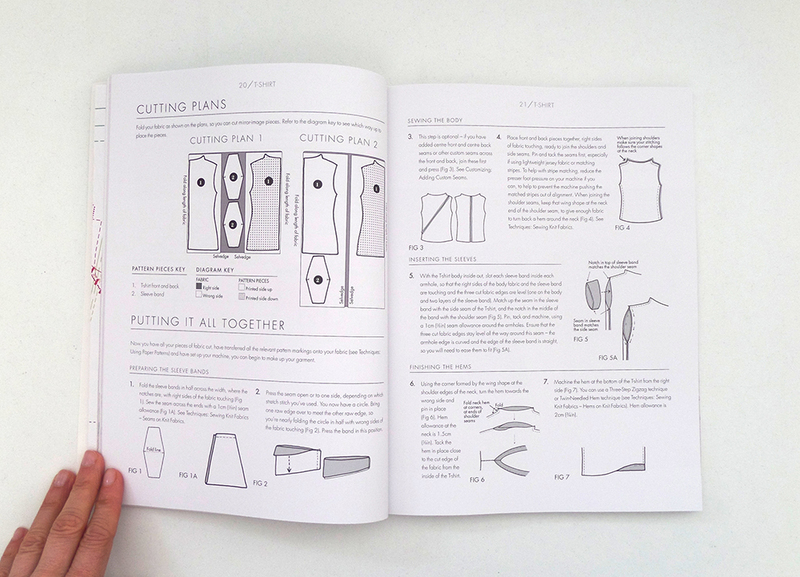 It explains absolutely every step in detail in both words, diagrams and photographs and I hope the fact that I spend a lot of my time teaching adults how to sew shows through in clear, user-friendly instructions. 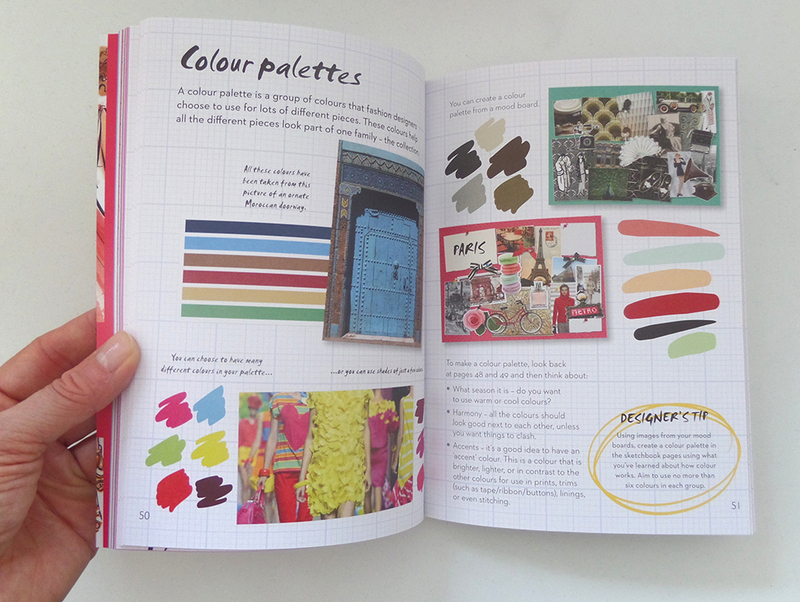 I wanted to create a book that was both beautifully designed and inspiring to look at, but would actually be used. I don’t want your copy to be a pristine coffee table book, I want it to be well thumbed, scuffed and battered and be full of your own notes. Here’s a summary of the 6 projects along with examples of how easy it is to make completely different versions from the same pattern. A description of the pattern with a shot of a couple of different versions (Gyspsydog didn’t manage to photobomb all of them…), a summary of the techniques and customising ideas used and jargon-free descriptions of what kind of fabric to choose. 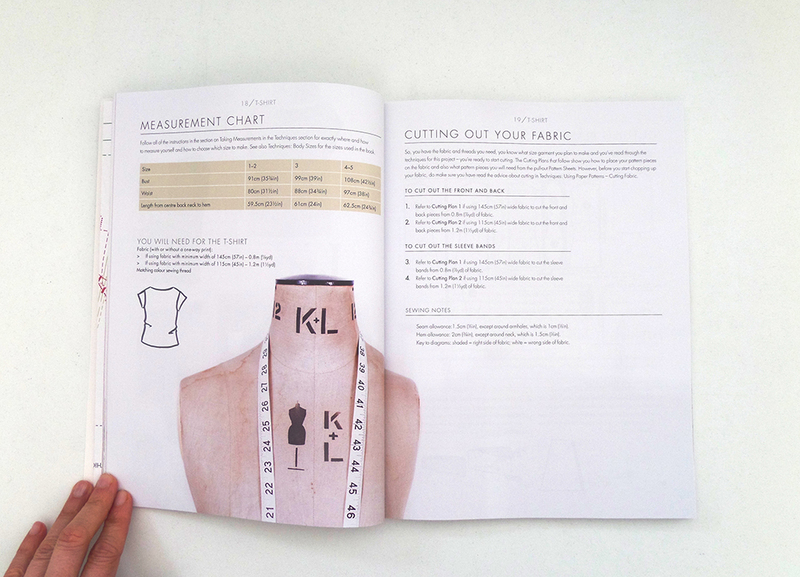 Next, a chart showing the measurements of the garment when made up in the different sizes so you know what size it will turn out (something which is often missing from sewing patterns and dressmaking books but which my students find really helpful), and how much fabric you will need. Then, how to lay your pattern pieces on the fabric, followed by detailed instructions with diagrams explaining how to put the garment together. And finally, ideas using techniques from the customising section on how to change the basic pattern to make it your own. 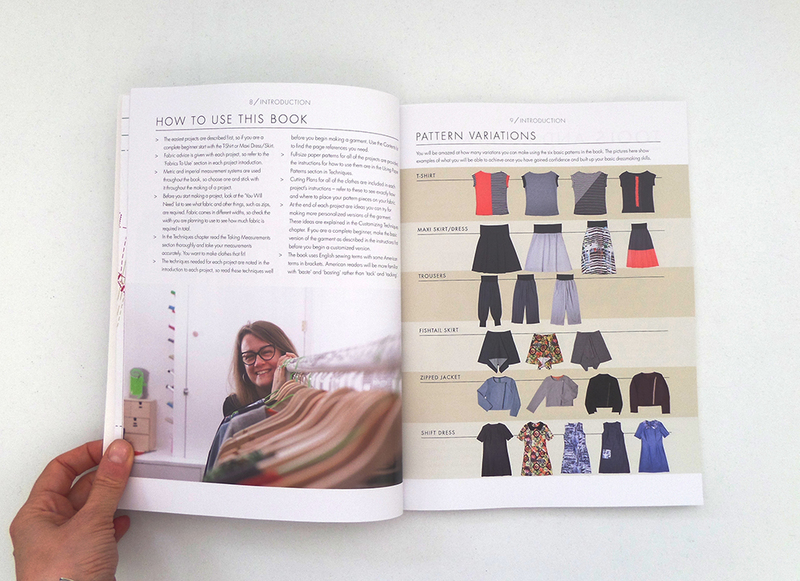 After spending 7 years teaching adults to sew I felt I had a good idea what people wanted from a sewing book and I also thought there was a huge gap in the market for a sewing book that included full-size patterns for everyday clothes with a modern contemporary look. There are lots of sewing books available now with a very particular, often vintage style. Just because someone likes to sew or wants to learn to sew, doesn’t mean everyone likes the same kind of design, just like when you’re shopping for ready-to-wear clothing, we each have our own style. 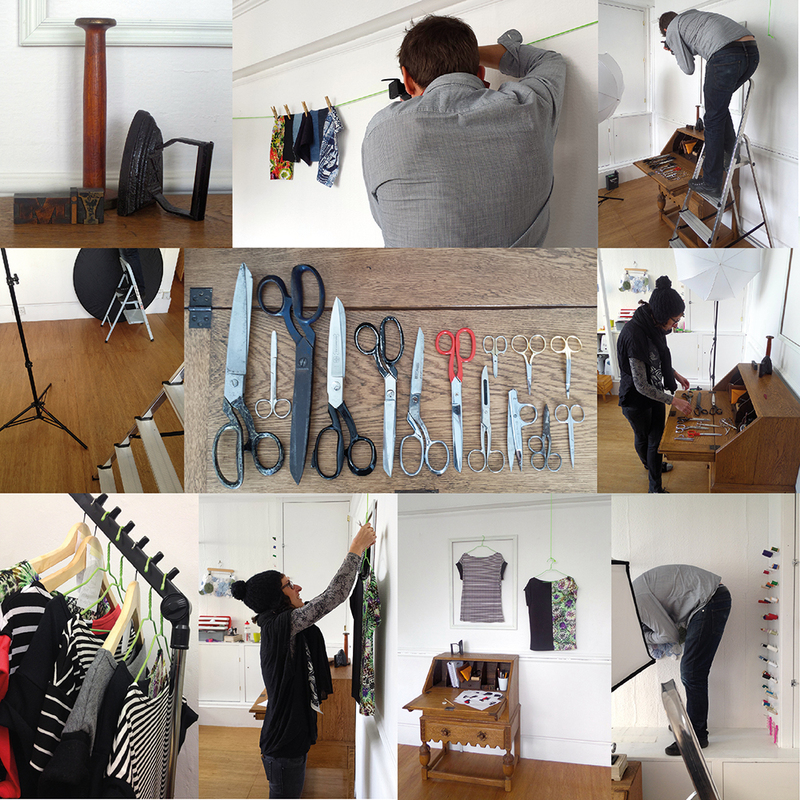 That’s where I wanted to use my experience in the fashion industry and design background to create everyday simple clothes that can be further adapted to suit different styles. The team at David & Charles my publishers have done an excellent job and were a pleasure to work with, as was my amazing editor Lin Clements. They took on board every single one of my ideas, preferences and whims and ran with them to create a book that I’m really proud of and which is pretty much what I had in my mind’s eye when I started the book 10 months ago. I was lucky to have all the photographs in the book shot by the very talented photographer Julian Ward (no relation!) and they were all styled to perfection by my good friend Lauren Courtney who can work wonders with anything. They were a fantastic team to work with and I already miss our photo shoot days where we worked our socks off, but always at some point ended up almost crying with laughter at something or other! Yes the book is available at a discount on Amazon and yes I’m selling it full price. I just can’t compete with Amazon. But, if you want a signed copy, I’m the only place you can get it! Buy yours here. **NOTE ADDED 30/10/14** the patterns are printed full-scale in 5 sizes which cover the following range: bust 84-101cm (33-40″), waist 68-85cm (27-33.5″), hips 92-109cm (36-43″). Three of the patterns are for stretch fabrics so aren’t very fitted, the other three patterns are for woven fabrics and two of them are fairly fitted. Do you have a budding fashionista in the family? Or are you one yourself?! 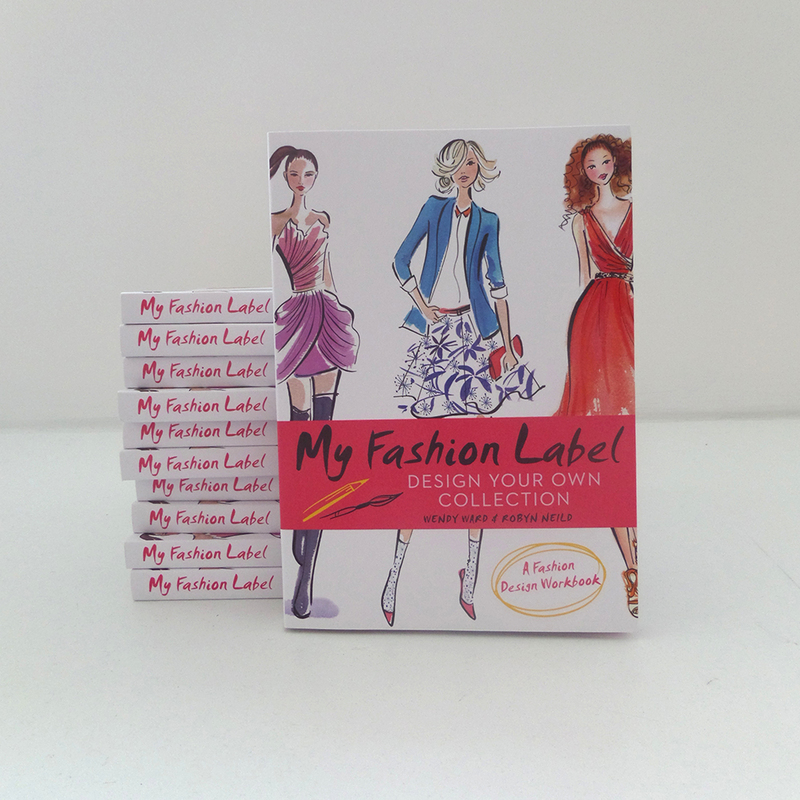 My first book “My Fashion Label” is out now. You can buy it direct from me at MIY Workshop or online and it’s also available on Amazon. 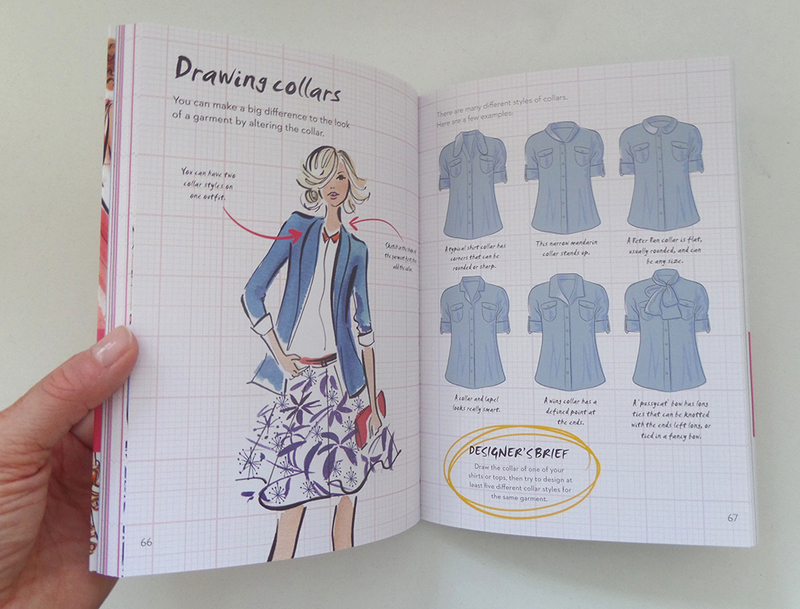 It’s aimed at girls roughly 9-14yrs and is an interactive guide to fashion design. 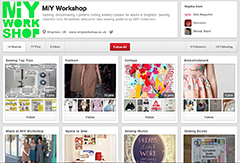 It presents the design process step by step, from first ideas and making mood boards…. 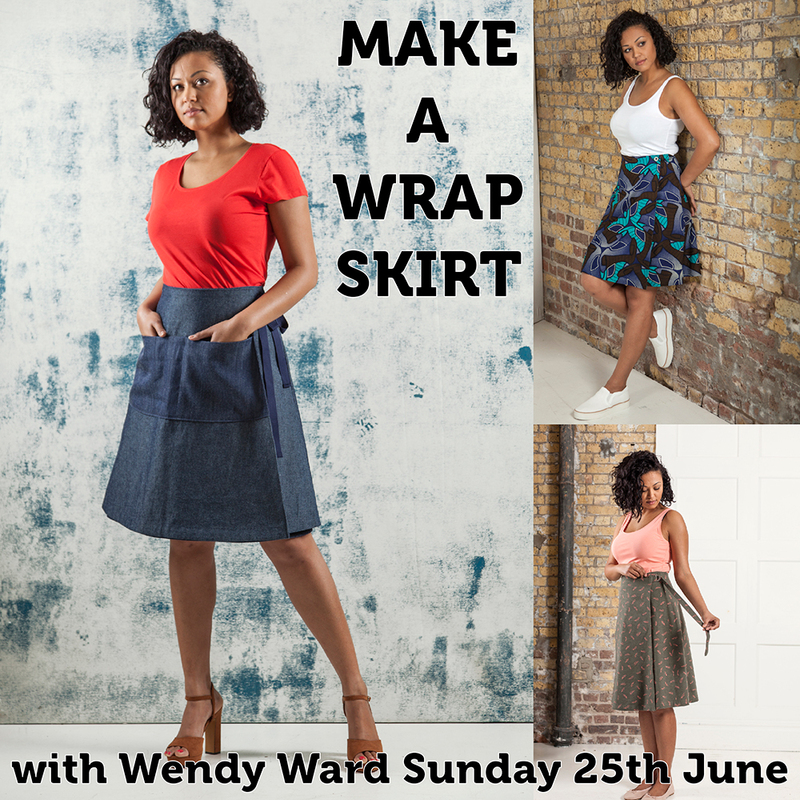 …..and understanding how clothes end up on the catwalk. 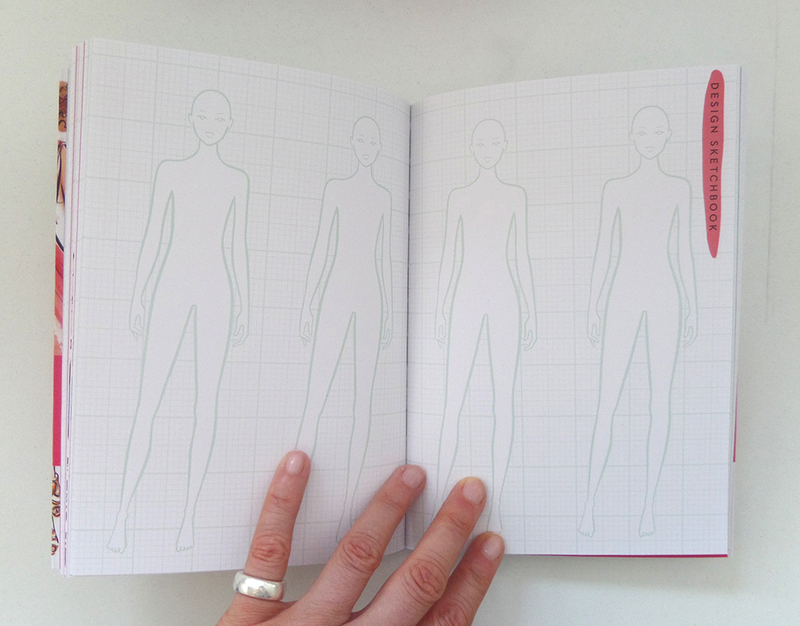 Blank and guided sketchbook pages are included to give you plenty of space to practise your skills and try out your designs on the outline figures provided. 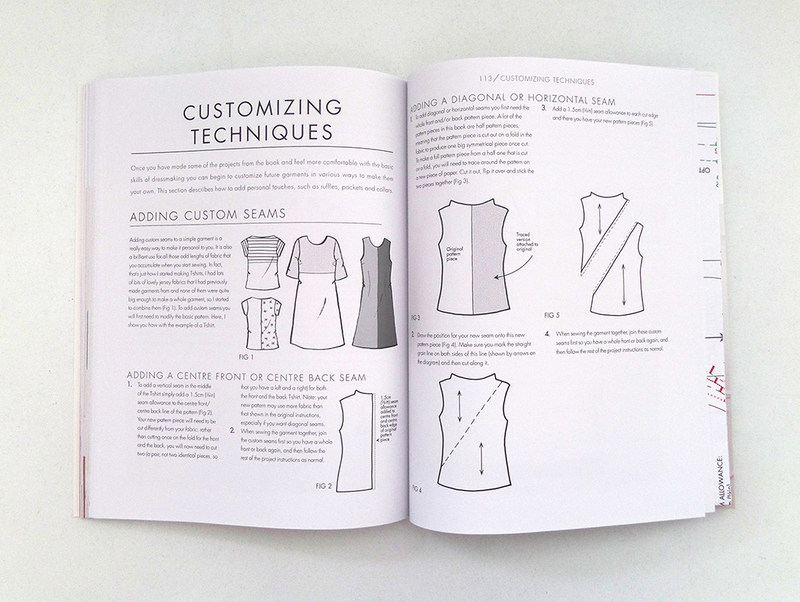 Whether you are a teenager who likes pretty prom dresses and fairy tiaras, or are working in an office but dreaming of designing clothes, this book will show you how to start creating those outfits! I wrote all the content, developed the structure of the book and suggested what kind of imagery should be included and Robyn Neild did most of the gorgeous illustrations. The book is paperback and roughly A5 size with 128 full colour pages. I’ll even sign it for you if you want! Get yours here.